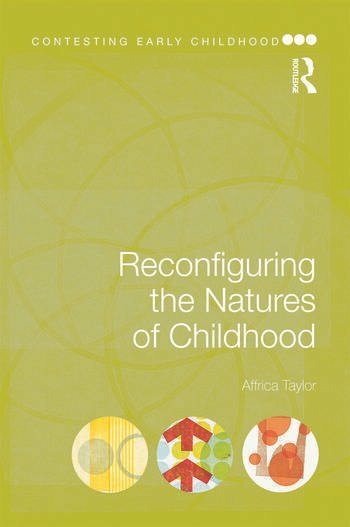 In this fascinating new book, Affrica Taylor encourages an exciting paradigmatic shift in the ways in which childhood and nature are conceived and pedagogically deployed, and invites readers to critically reassess the naturalist childhood discourses that are rife within popular culture and early years education. entangled within real world relations rather than protected in a separate space. Throughout the book, the author follows an intelligent and innovative line of thought which challenges many pre-existing ideas about childhood. Drawing upon cross-disciplinary perspectives, and with international relevance, this book makes an important contribution to the field of childhood studies and early childhood education, and will be a valuable resource for scholars, postgraduate students and higher education teachers. Affrica Taylor is Associate Professor of Education, University of Canberra, Australia.